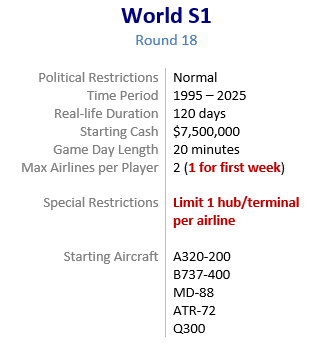 World S1 has been reset. The game time will be paused until Tuesday, July 17 at 06:00 UTC (1:00am EDT). Rather enjoyed the previous round, fast and furious expansion starting in 2014 and ending up high in the rankings. Will have to sit out this round but hope to have some fun come late October in S1!